If you were worried that the pina colada was only for beach vacations, rest easy. The pina colada is alive and well no matter where you find yourself this summer – beach or not – and is, in fact, even celebrated with its own day. For those of you not in the know, July 10th is National Pina Colada Day. I urge you to celebrate with a pina colada or maybe just make these pina colada cupcakes and a coconut buttercream frosting. In honor of National Pina Colada Day, the Sunday Supper family has put together an amazing assortment of recipes featuring coconut. These cupcakes are one of our house favorites. Coconut and pineapple, how can you go wrong? I love to let my kids cook in the kitchen and one of their favorite things to make is dessert! Who can blame them? Apple. Tree. While they love to look through cookbooks and recipes, it’s also nice to have some easy peasy cake mixes in the pantry so they can experience instant, foolproof, dessert gratification. The beauty of these pina colada cupcakes is that it starts with a Betty Crocker Gluten-Free Yellow Cake Mix. 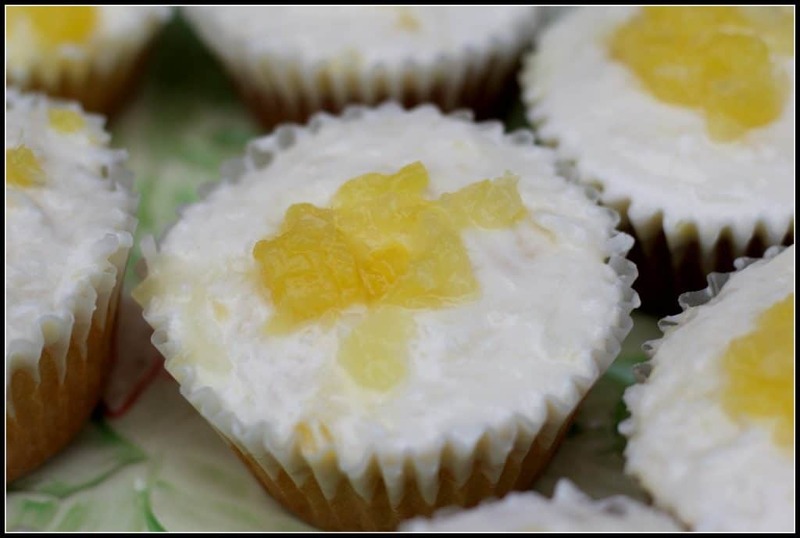 Add a few key pina colada ingredients and you can have these yummy cupcakes in about half an hour. 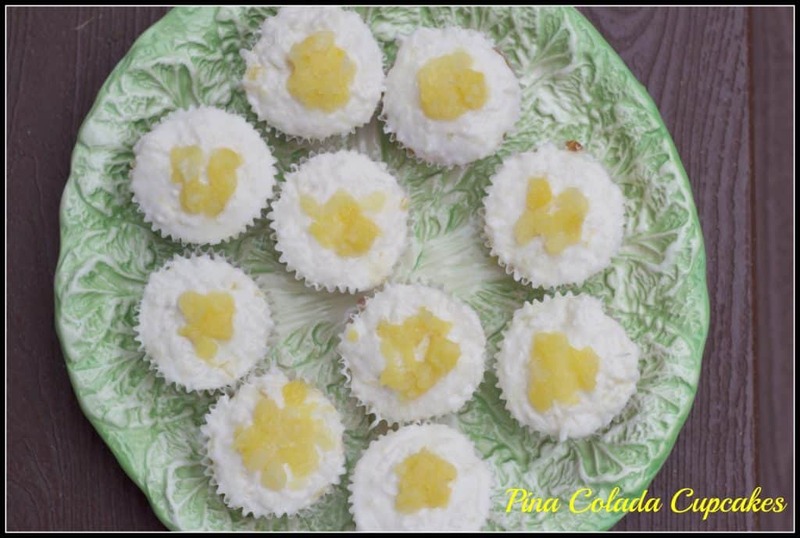 Pina colada cupcakes … cheers! Baby K turned 18 months this weekend – what better reason to make cupcakes? 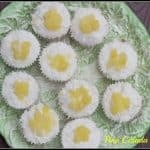 These cupcakes were rich and moist and full of pina colada coconut and pineapple flavors. You don’t need a half birthday celebration to make cupcakes, but it definitely seems to be a family tradition here that all my kids enjoy. Keegan – 18 months deserves cupcakes! 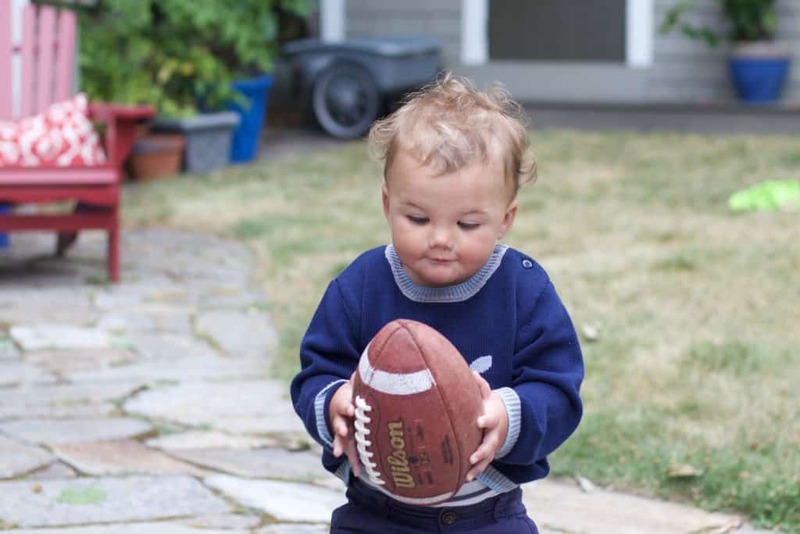 He has three words – mama, ball, and woof. Grab a cake mix, coconut, and pineapple and make these delicious pina colada cupcakes! For the cake ... combine ingredients in a large mixing bowl. Stir to combine and then beat for 2 minutes on medium. 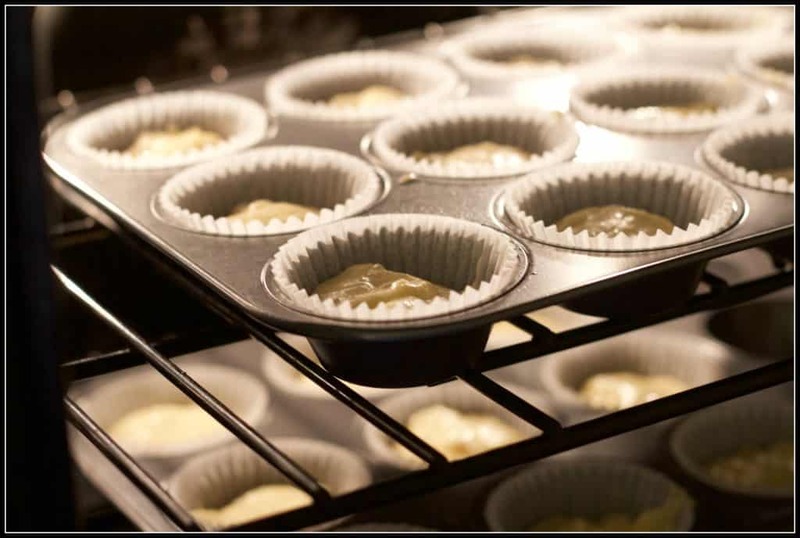 Pour into 18 - 24 greased or lined muffin tins. Cook for 20 to 25 minutes at 350 degrees. For the frosting ... Combine ingredients (except coconut) in a stand mixer. Mix. Add more confectioners sugar if the frosting isn't thick enough. Stir in coconut. Spoon or pipe frosting onto cupcakes. Top with additional crushed pineapple. Check out the rest of the Sunday Supper recipes for more coconut ideas! Ha! Maybe 8 years ago I made hummingbird cupcakes just by adding banana and pineapple (and whatever else is in hummingbird cake) to a white cake mix. I had people asking for the recipe like crazy and asking if it was a secret family recipe. Since then, I have become a baking snob and look down on cake mixes. Also since then, i have never had so many people ask for a recipe. I think I need to give cake mixes another chance! Thanks, Laura! It is such a great combination of flavors! It works really well as a cupcake. What a great twist on a pina colada. Cheers to cupcakes!! i don’t drink a lot of cocktails, but i will never turn down a pina colada! these cupcakes are awesome, especially with that glorious, luscious, and unique frosting! this one’s a pinner!